Thrace was an ancient kingdom, which according to Greek mythology was named after Thrax, the son of Ares, the Greek god of war. 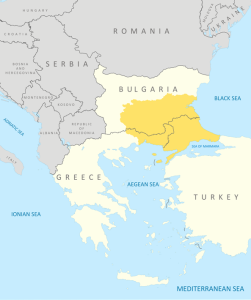 Some push back the origins of the Thracians to 3000 BC(b). Homer described the Thracians as allies of Troy. 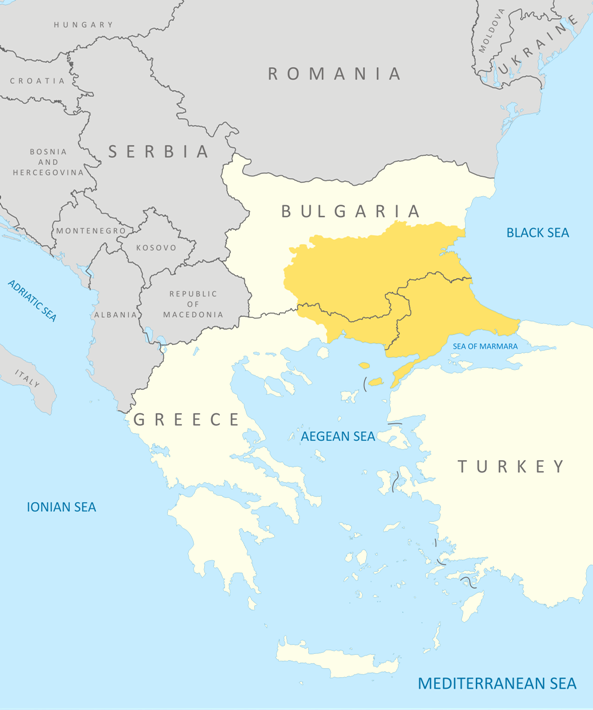 Today Thrace would occupy southeast Bulgaria along with adjacent parts of Greece and Turkey. Some have attempted to link Thrace with Atlantis(a). Abraham Akkerman suggests in Phenomenology of the Winter City[1179.98] that the inspiration for “Plato’s layout of his Ideal City on the island of Atlantis” may be found in Thrace. Keep in mind that situated just north of Thrace was Dacia, part of Romania, another Atlantis candidate.